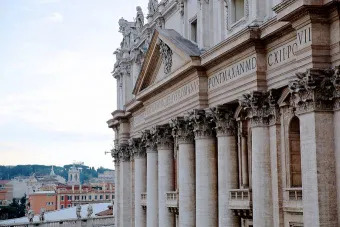 Vatican City, Feb 22, 2017 / 07:19 am (CNA/EWTN News).- On Wednesday the Vatican announced plans to monitor with a more careful eye those who print official images of the Pope or the Holy See and sell them for profit, intervening with “appropriate action” when necessary. Because of this, part of the department is dedicated to protecting “the symbols and coats of arms of the Holy See” through appropriate channels on an international level. In order to make this “protective action” more effective and to “halt situations of illegality that arise,” the department said they will begin carrying out “systematic surveillance activities apt to monitor the ways in which the image of the Holy Father and the coats of arms of the Holy See are used,” intervening with “appropriate action” if and when needed. The announcement came just weeks after posters critical of Pope Francis appeared on the walls and buildings of the city center of Rome, depicting a sour-faced pontiff with a list of grievances regarding his recent reform efforts. A few days after the posters appeared and quickly went down, a spoof version of the Vatican’s daily newspaper L’Osservatore Romano was sent to members of the Curia claiming the Pope had answered the five “dubia” on Amoris Laetitia sent to him by four cardinals in the Fall, which were subsequently published. However, the Vatican was quick to clarify that there was no link between the anti-Francis propaganda and the Secretariat of State’s decision. 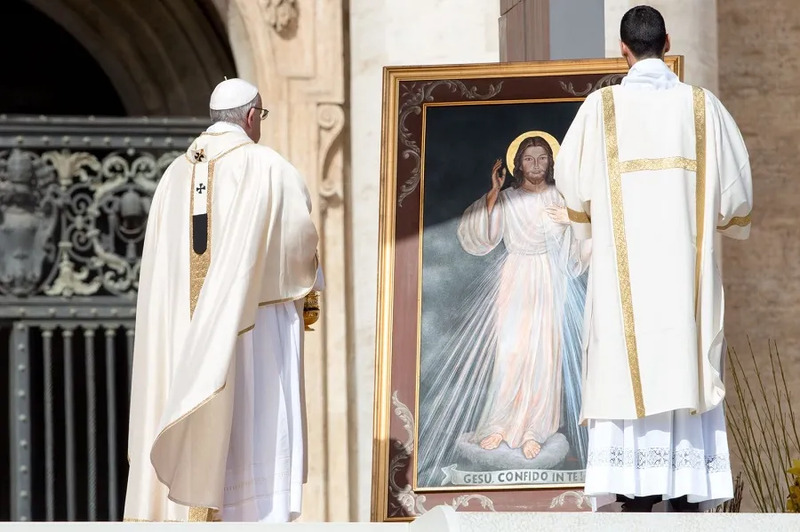 “We’re talking about the product and the use of the image of the Pope or the Holy Father’s coat of arms or that of the Holy See which are exploited” for economic purposes, she said. The Secretariat of State’s crackdown is a follow-up of their 2009 decision to issue a strict copyright of the Pope’s name, image and symbols. “Consequently, the use of anything referring directly to the person or office of the Supreme Pontiff… and/or the use of the title 'Pontifical,' must receive previous and express authorization from the Holy See,” the statement read. 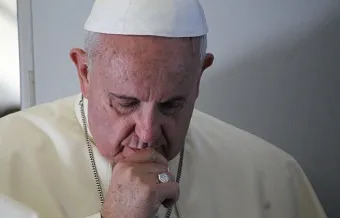 Vatican City, Apr 2, 2017 / 09:41 am (CNA/EWTN News).- Sunday Pope Francis encouraged people from earthquake-damaged communities to continue the process of rebuilding with courage and strength, never losing hope in God’s steadfast love. Vatican City, Oct 2, 2017 / 06:34 am (CNA/EWTN News).- On Monday Pope Francis offered his condolences and spiritual support to victims of a deadly shooting in Las Vegas that left at least 50 people dead and 200 more wounded when a gunman opened fire at a country music festival. In what has become deadliest the mass shooting in U.S. history, at least 50 people died and 200 were wounded when a shooter opened fire on the last of a the three-day Route 91 Harvest festival in Las Vegas, Nev. just after 10p.m. Sunday night, BBC News reports. According to the Las Vegas Police department, an estimated 406 people have been hospitalized after the incident. The festival, which took place along the Las Vegas Strip, was sold out, and had drawn thousands of participants to see top performers such as Eric Church, Sam Hunt and Jason Aldean.